Lifelong learning is an integral part of living a full, active, contributing life. The Liberal National Government understands that having a pipeline of skilled workers is necessary to fill the jobs of the future as our economy continues to prosper –– a skilled workforce is the greatest asset we have to build our cities and regions. As Minister for Small and Family Business, Skills and Vocational Education, I am absolutely committed to supporting all Australians to gain the skills they need to work and to thrive and participate in the economy. Senior Australians are our most experienced workforce and their economic contribution should not be discounted. We want to make sure they can access the skills they need for the jobs of today and tomorrow. Our economic growth will suffer if we don’t ensure members of this generation have the skills and training they need to be engaged in the workforce of the 21st Century. Our Government wants to ensure we create the right conditions to support people to pursue their goals, to work, acquire new skills, change careers, and continue to thrive no matter how old they may be or what their start in life was. Many Australians will need to be working into and beyond their 60s or 70s to support the country’s need for skilled workforce. And many Australians want to both learn and work during these years. To meet this objective, Australia’s tertiary education sector, encompassing both Vocational Education and Training and University, needs to be well placed to support students of all ages to obtain new skills, geared to the needs of Australian and international businesses. Those, both young and old, who fail to renew and refresh their skills are at greater risk of being left behind: potentially competing for lower skilled jobs, becoming unemployed, or forced into early retirement. And in today’s complex and changing world, with rapidly developing technologies, changing workplaces and work practices, our workforce is strongest when we have people of all ages engaged in work, and contributing to our economy. Adult Learning Australia has been at the forefront of the lifelong learning philosophy for many years. The Government has placed lifelong learning at the heart of various initiatives that support people to be active participants in the workforce for as long as possible. The Skills Checkpoint for Older Workers Program is a Liberal National Investment of $17.4 million over four years into the Skills Checkpoint Program to provide up to 20,000 eligible Australians aged 45-70 with advice and guidance on transitioning into new career opportunities. The program targets those currently employed but who may be at risk of unemployment, or those recently unemployed and not registered for assistance through an employment services program. The Skills Checkpoint Program uses individually tailored assessments and referrals, to provide workers with advice on how best to use their existing skills in the workforce, or identify opportunities for upskilling. It can also refer participants to educational and training opportunities to assist with transitioning to a new role in their current industry or switching to an entirely new career. From 1 January 2019, older Australians will also be able to access up to $2,200 (GST inclusive) to undertake training opportunities identified through the Skills Checkpoint Program. The individual or their current employer must match the Government’s contribution, ensuring a joint investment in the skills development of older Australians. The $19.3 million Skills and Training Incentive, administered by the Department of Jobs and Small Business will provide funding for up to 3,600 places per year. Career Transition Assistance is also providing a high quality and individually tailored service for mature-age job seekers, and will be rolled out nationally from 1 July 2019. It will ensure mature-age job seekers have the opportunity to identify their transferable skills and areas for reskilling, explore suitable occupations and learn about their local labour market. Importantly, it will build their confidence and improve their digital literacy – skills that are valued by potential employers. We also want to ensure that every Australian has the opportunity to fulfil their potential – along the whole education continuum. This is where micro-credentials could come into play. They are shorter, more targeted credentials that could help Australians of all ages to upskill and retrain without undertaking lengthy studies. 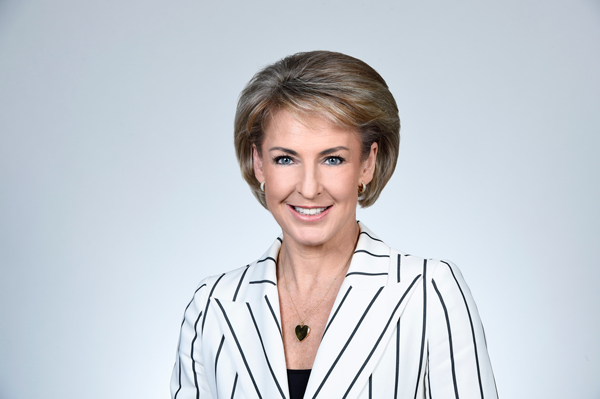 The Liberal National Government has appointed an expert panel to review the Australian Qualifications Framework and whether a system for quality assuring micro-credentials and including them in the framework should be developed. Our Government wants to secure a future for all Australians where their learning experience – from early childhood learning all the way through to Vocational Education and Training and University – gives each person the means to shape their own lives and to contribute to the wealth and the social capital of the nation. Adult learning is a part of this continuum, it has an undeniably valuable place and through adult learning the contribution of many thousands of Australians to our economy and our way of life is enhanced. The Liberal National Government has prioritised policies that recognise this, that equip people to adapt and respond to future challenges and change, and empowers each Australian to be able to make a contribution to our nation’s future.